Recently I had a project where the kitchen specialist showed some "turnstiles by others". Whenever you see that little phrase, you know someone has dumped a problem in your lap. So I hopped onto the internet and searched for a local installer. These days I make a point of using Bing for most of my searches. Why should Google have all the fun ( = information = power ) There is a delicious irony in choosing Microsoft in order to resist a monopoly but that seems to be the situation in certain areas these days. I digress. I found a product that looked something like this. As usual there were questions to be asked. One day there will be a proper BIM way to do this. In this case there wasn't even a family to download, but one day it will go much further than that. I imagine dropping the family into your project, creating a section box around the area concerned and uploading the result (in IFC format perhaps) to a web portal. Here you can add some comments and questions, bookmark a couple of views and press submit. This would initiate a 3 way conversation between yourself, the manufacturer and the local installer. Comments would be tracked and tagged of course, and all parties would be able to create options and new views within the 3d model. 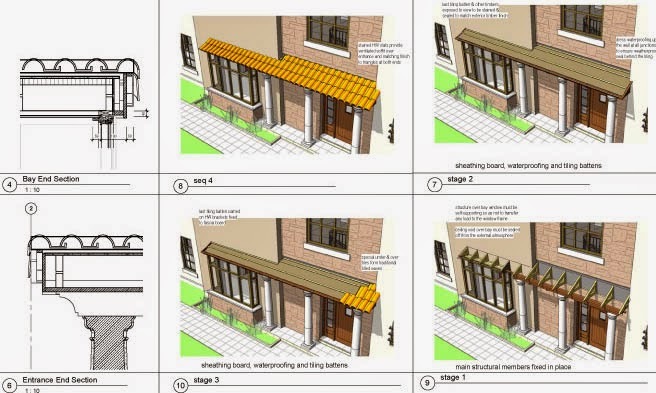 You would be able to synchronise any of these proposals with your project at the click of a button. But there wasn't even a family. Has anyone ever come across a turnstile family ? I decided to make one. Start with the tripod. Generic Model, plan view. Add 2 reference planes at 60 degrees to the vertical. Go to a left elevation. Create sweep. Draw a path on the "centre L/R" workplane. Guess the length or use information from the product website. It's around 450mm, maybe a bit more. Finish path, set the workplane to the "profile plane". Select profile, edit profile, draw a circle. I used a radius of 20mm. Now you have a cylindrical arm. Go to the plan view and mirror this using one of the angled work planes. Select the second arm and mirror again using the "centre L/R"
Hey presto, three arms. I guess we could have used a radial array. Probably would make the file a little heavier. I opted for mirror. I also decided to represent the hub by a hemisphere. Keep it simple stupid. That's going to be a revolve. I drew my sketch in a front elevation view.Now we are going to load this component into another family, but first we need to make a couple of adjustments. Uncheck "Always vertical" and check "Work Plane-Based". Then start a new Generic Model family and load in your tripod component. I'm starting with Generic Model out of habit really. We can change the category later. If you think this should be "Specialist Equipment" then you can start from that template instead. Set up some reference planes based on dimensions from the catalogue and create an extrusion. I didn't bother to lock it to any of the planes because I don't intend to make the size parametric. There is only one size for this product. Now sketch a void extrusion, flip over to a side view and stretch out the start and end points. I will probably cut itself out of the solid as soon as you finish the sketch, but if not use the "Cut" tool. To place the tripod you need to set the workplane, either using pick face, or by naming the angled reference plane to something appropriate (tripod slope?) Once you give a ref plane a name you can set it to be the active work plane by selecting that name. Basic stuff. You probably need to slide the tripod around a little to get it centred. You might want to rotate it as well. Do this in the 3d view, making sure you set the work plane to the one the tripod resides on first. So that took maybe half an hour. I loaded it into my project, and tried out 2 different arrangements. One of them required a centre division. I won't explain how to make that. It's just a box. Set up a plan and a camera view on a sheet, added some comments/queries and emailed it to the local installer. A couple of days later I got a response. Try another product which has a purpose made end post. So I made a second version. 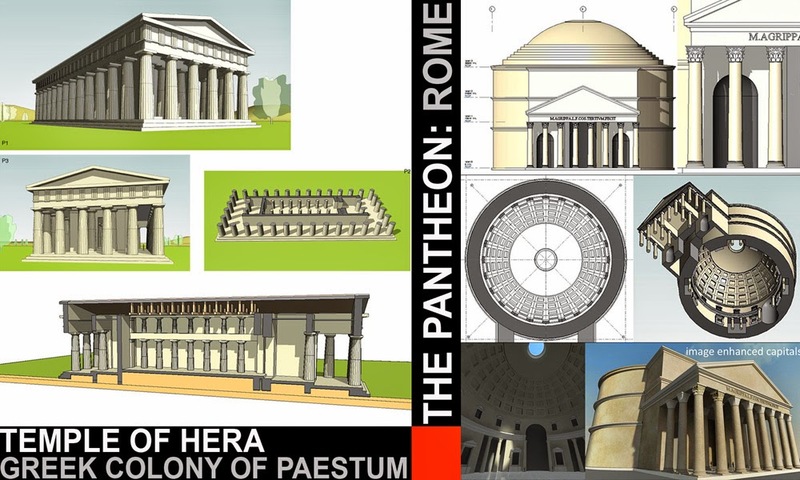 This time I have a pdf with orthographic views. Use the windows snipping tool to make a jpeg of the part I want. Drag and drop this into the front elevation of the turnstile in family editor. 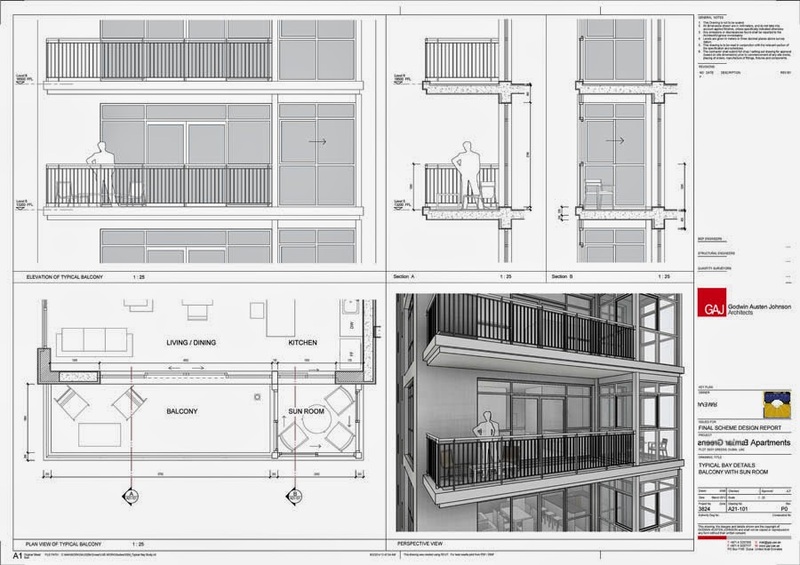 Scale it up with Revit's wonderful three click resize command. Edit the extrusion using the front elevation as a guide. You can delete the void. Notice that the arms of the tripod appear to he horizontal and vertical in front elevation. Edit the tripod, left elevation. Rotate the arm a bit. Delete the other 2 and restore them by mirroring the first one as before. Check the side elevation again. Is that close to a right angle ? If not rotate a bit more and repeat the mirror routine. Maybe there is something to be said for a radial array after all, but it only takes a few seconds to do the mirror thing so I stick with that. I also remade the revolve for the hub. You could go even further in the search for authenticity, rounding off the edges of the pillar with a void sweep. I decide to keep it simple. Then I weakened a little and rounded off the ends of the tripod arms. Void sweep. Pick 3d edges. Pick the circle at the end of the arm. You will have to pick twice to create to semi-circles. Finish path. Draw the profile in side elevation. Load it back into the turnstile family. You may need to adjust the angle of the inclined plane and the rotation of the tripod to get it to read properly in plan and elevation. Even so it probably won't be perfect. You might decide to use symbolic lines for the tripod in orthographic views, just to get a cleaner line. Now for the end post. Create extrusion. Draw a circle in plan. Guess the size. I made mine from the box I had before, so the height was already set to 990. The next bit is fun. Create another extrusion in plan. Sort of a butterfly shape. Pure guesswork for the dimensions. Go into a side elevation. Create a void extrusion to round off the ends. This needs to be accurate. True semi-circles that match the size of the solid extrusion. Stretch out the ends so that it cuts all the way. You've made a shape that will act as a rig for a sweep. Select this shape and uncheck "Visible" Now the rig will not show up in your project. You can change it to glass material if that makes you more comfortable, but it really doesn't matter. Create sweep. In a 3d view, pick 3d edges. Go all the way around one "side". Now you have a path that mimics a 3d polyline. You can sketch a circle for the profile, or load a circular profile. I used a sketch. Repeat for the other side. Actually I'm not sure that a two-sided product exists, but that's what I needed and I used this family to ask the question. 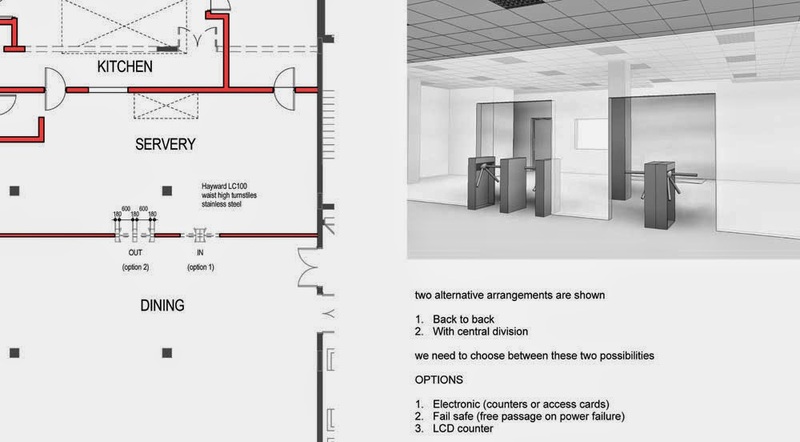 Shortly after that I decided that 2 turnstiles oriented the same way made more sense, and the pdf I had was showing a recommended spacing for this configuration so why not go for that ? 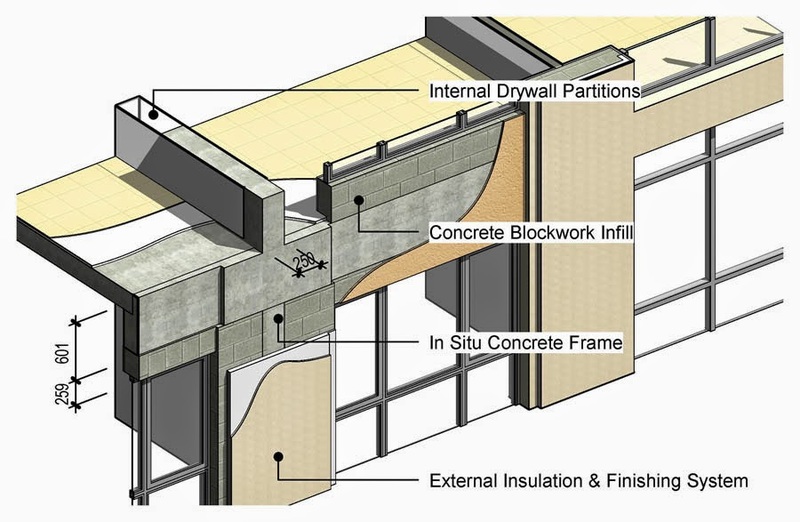 Now I'm going to send the manufacturers a link to this post and encourage them to join the global Virtual Design & Construction movement (VDC) call it BIM if you prefer, I usually do. We are working with a contractor at present who prefers to use the term "Digital Engineering". Nothing wrong with any of these terms, but I think BIM just slips off the tongue more easily. That's usually the deciding factor when it comes to language. Forget the pedantry. 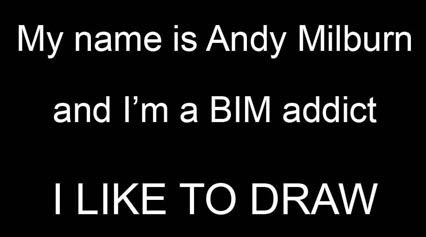 BIM model is easy to say and it gets the idea across. Get a life. Here is a link to some Revit Families. At least one of them represents a product that you make. You are free to take ownership of this family and make it available on your website and via your global network of suppliers. But make it free. And even better, consider setting up a web portal that will enhance the flow of intelligent 3d information and ideas between people who are using your products. Imagine a world where contractors bidding for a job can link to this portal and see the virtual mock-up that you and the architect developed (see above) Imagine the contractor that wins the job being able to communicate with you and your local trained installer via this same 3d portal. That world is coming so why not take the initiative and help to create it. Be a leader and a winner. Make the world a better place. by the way, here's a snippet from the actual documentation for the project. We don't usually describe the product in text right on the sheet like that, but for various reasons we didn't want to reissue the specification ... it's just a workaround to get the job out of the door on time. P.S. I have no particular reason to prefer one make of Turnstile over the other, the second version just happened to work on this project and I didn't have time for too much back & forth, so I went with it. Maybe next time I will use the first one. Or maybe I will go with whoever puts a Revit family on line. 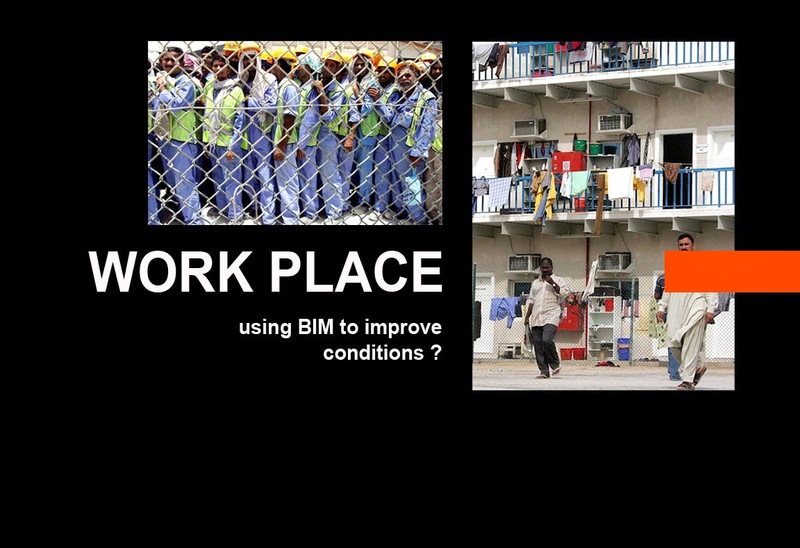 This is a talk I gave at the inaugural "BIM Breakfast" (Dubai version) organised by ITP at the Ritz Carlton DIFC on 11th June. I was speaking on behalf of GAJ, who co-sponsored the event, but I chose to present a personal view in order to reach a mixed audience of experienced users and interested "novices"
The title is something of a mixed metaphor. You probably picked up on the reference to Shakepeare: his idea of life as a journey, a progression like the acts of a play. 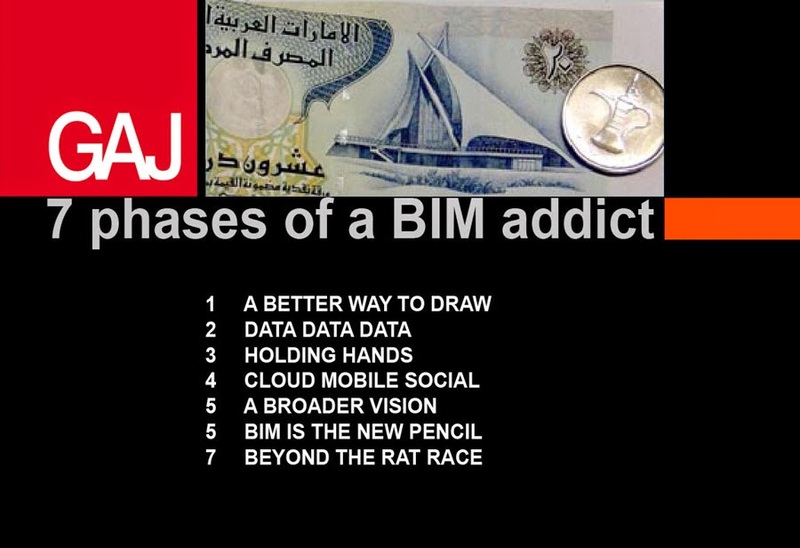 The phrase "BIM addict" is intended to evoke a passion, bordering on compulsion. BIM generates strong feelings, for and against. 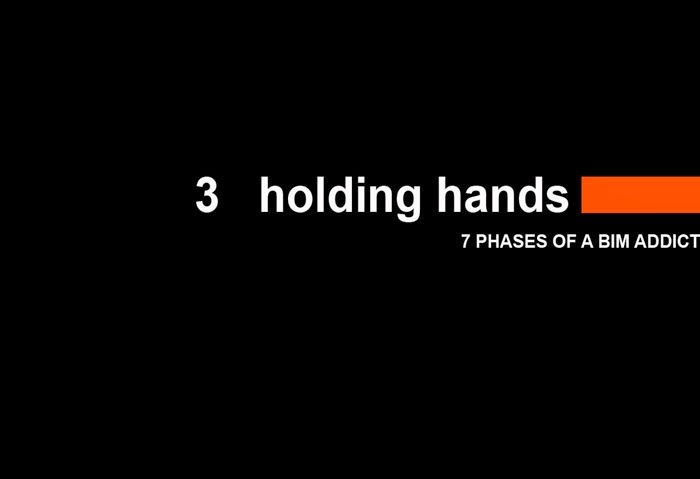 Hence my first slide, based on the standard Alcoholics Anonymous greeting. So the talk is about BIM as a passion and a journey. Reflections of an architect who first dabbled in "proto-BIM" around 20 years ago & has been using BIM at GAJ on a daily basis for more than 8 years now (full-on Revit). 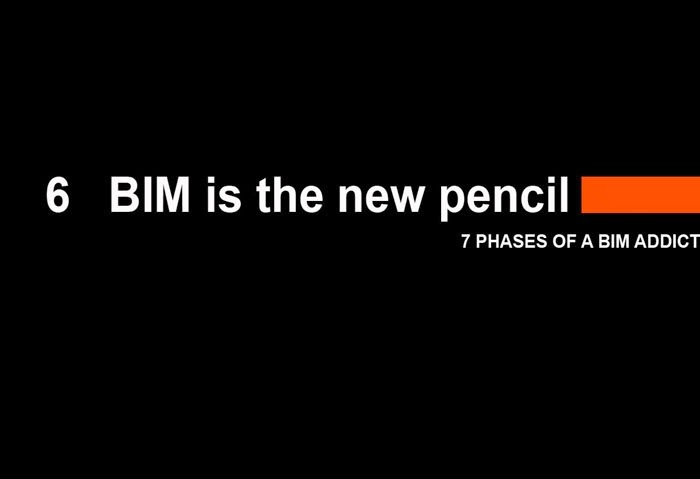 During that period, and especially the last 8 years, my perception of BIM has evolved, and continues to evolve. So imagine me as Shakespeare's player, strutting across the stage, changing my costume with each new scene. 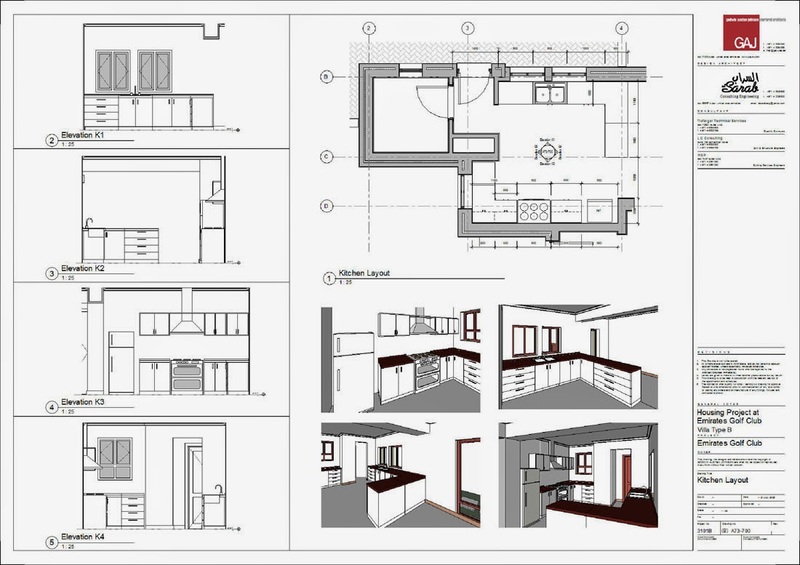 When I first got my hands on Revit I saw it as a new and very powerful way of drawing. By then I had been drawing for 50 years and I was bowled over by the fact that a new drawing tool could empower me so dramatically. 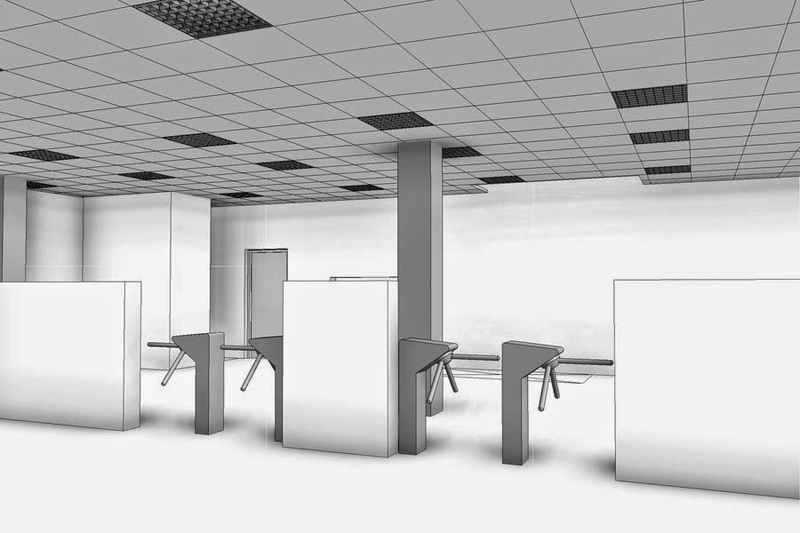 The next image is from the first set of tender drawings I produced using Revit. You can see that I was Carried away with the ability to visualise and document in a single integrated environment. To place a set of live views from the model onto a page, adjust my design in any of these views, and watch as the drawings update everywhere. It's easy to forget how powerful this idea is when you first encounter it. A year or so later and using visibility controls to create a time-lapse effect. Exploring the sequence of trades, detailing in 3d. A couple of years further and I was starting to develop a style, but till loving the combination of orthographic and perspective, the holistic approach. Drawing is a tool for understanding. How you draw makes a difference: attention to detail, clarity of thought. These are intensely personal things that come across as a style. The style of a writer, or a speaker makes all the difference to how you receive their ideas. The same is true of drawing. We used to know this, but sometimes the disruption of technology leads to amnesia, we become drunk with power, and forget the basics of good drawing technique. An example of the ability to disect, to get inside, to deconstruct closes my first phase of "BIM as a better way to draw". The next big thing to hit is the power of data. One day you suddenly wake up to the fact that your model is packed with information. 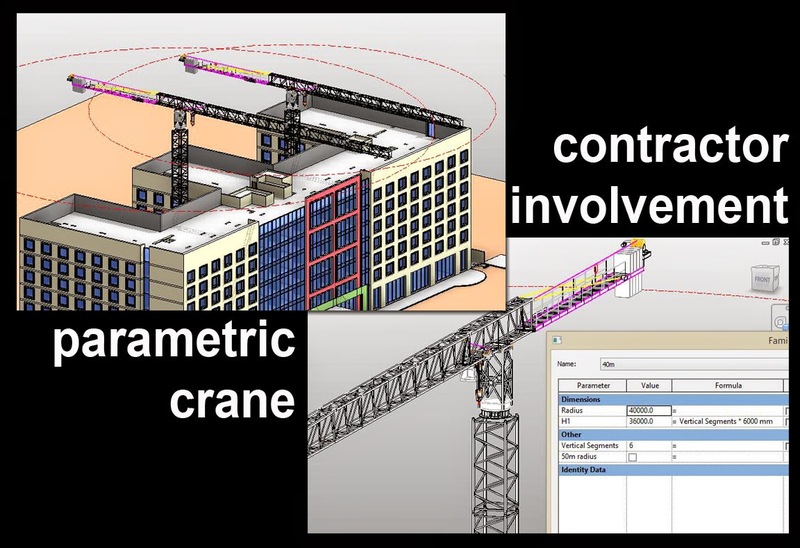 BIM objects are intelligent. A wall knows that it is a wall. 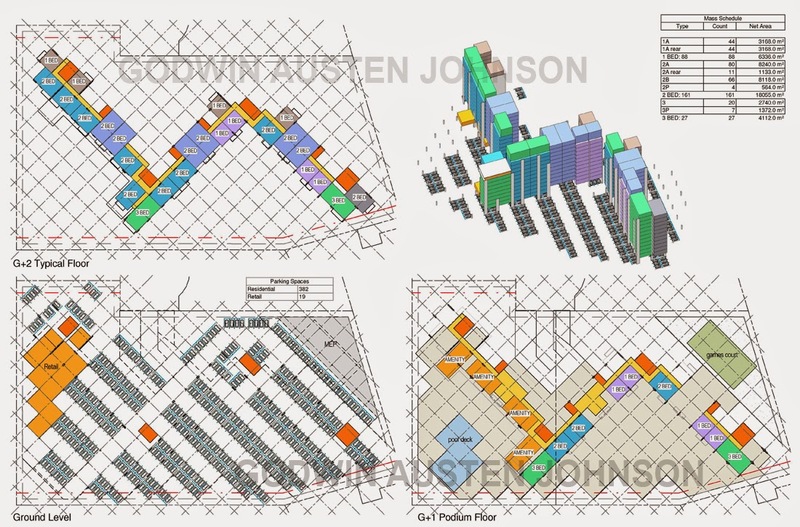 You can keep a running count of floor areas as an urban scheme develops, real time feedback to validate design ideas. At a more prosaic level you can count doors and windows. This seems like a trivial thing now, but for someone who has churned out door schedules by hand on large projects it seems like magic. 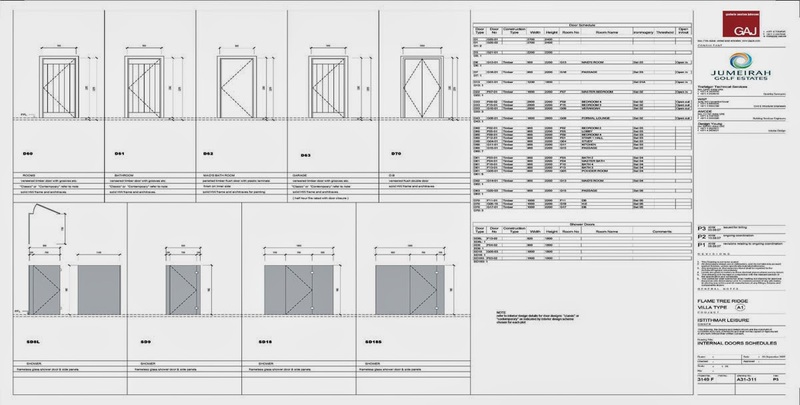 The first encounter with BIM schedules is breathtaking. A huge weight falls from your shoulders. Mind numbing tasks fall away and you actually have time to think about what you are doing. Thinking outside the box a bit, you can study options for apartment buildings or hotels. Keep track of the balance of room types. And the other side of data. Analytical tools. This is a wind study we did for a project just a couple of weeks ago. So far it's been lonely BIM. I'm sure lots of you know what that feels like. Trying to persuade the other consultants to jump in. The water's lovely in here. Let's hold hands and paddle off together. Stunned silence, then: "Yeah we've got a couple of licences, but the guys are not confident yet. Maybe next time." or "The programme is too tight." or "But we already started in CAD." Happily things have changed over the past 2 or 3 years and it's much easier now to assemble a BIM team, at least for the main disciplines. These are images from a project I am currently working on in Oman, just outside Muscat. Ducts and pipes appearing in your ceiling voids in real time. Coordination meetings when everyone can see straight away where the problems areas are. Another exciting phase as the addiction takes firm hold. My catch-phrase for the next leg of our journey is stolen from Autodesk who also helped to sponsor the event. I hope they don't mind. At some point you realise that all this stuff that has crept into your private life: email and smart phones, facebook & twitter, dropbox ... all this stuff is cut from the same cloth as BIM. Digital tools that transform the ways that people interact with other people, opening up connections and the accellerating the flow of ideas. Brainstorming at the speed of light. I was doing a tender review the other day: contractors in Oman that I had never heard of. They all have web sites. Information that would have taken months to compile a few years ago is available in minutes. 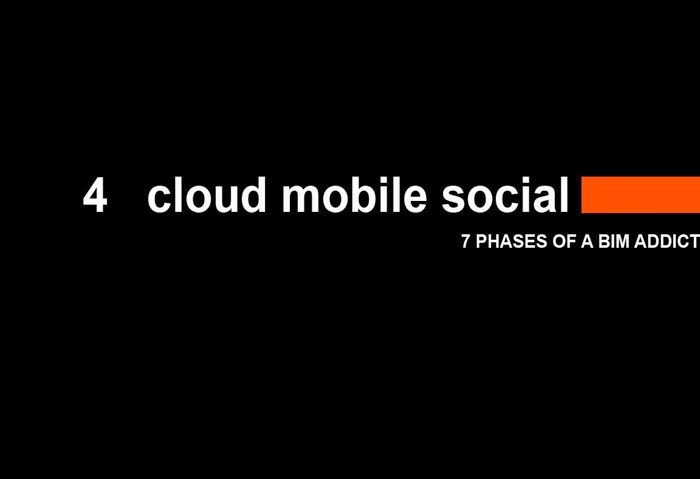 CLOUD-MOBILE-SOCIAL is where we are right now. New cloud collaboration platforms are springing up on a daily basis. Manufacturers and suppliers are investing in content services, looking at new ways to interact with BIM users. 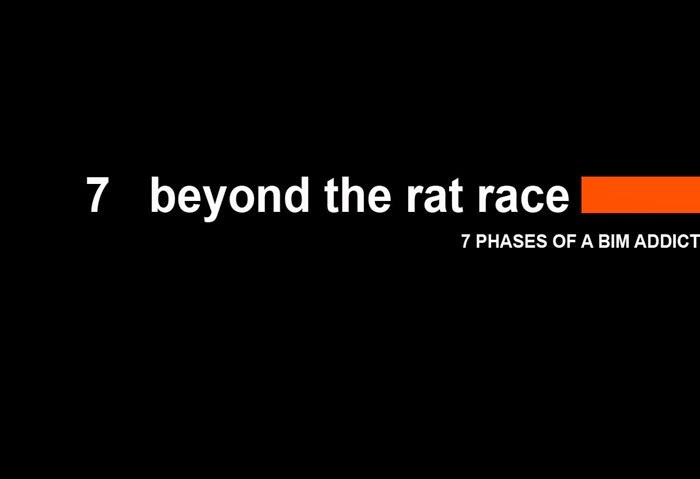 Which brings us to the next phase of our journey. The next big realisation is that for BIM to really work (get the full benefit), we need to involve everyone, the entire industry. That's why the experience of the UK is so exciting, a national initiative. It's something we really need to encourage here. Contractors are coming on board in a big way. This is a job we are working on right now. 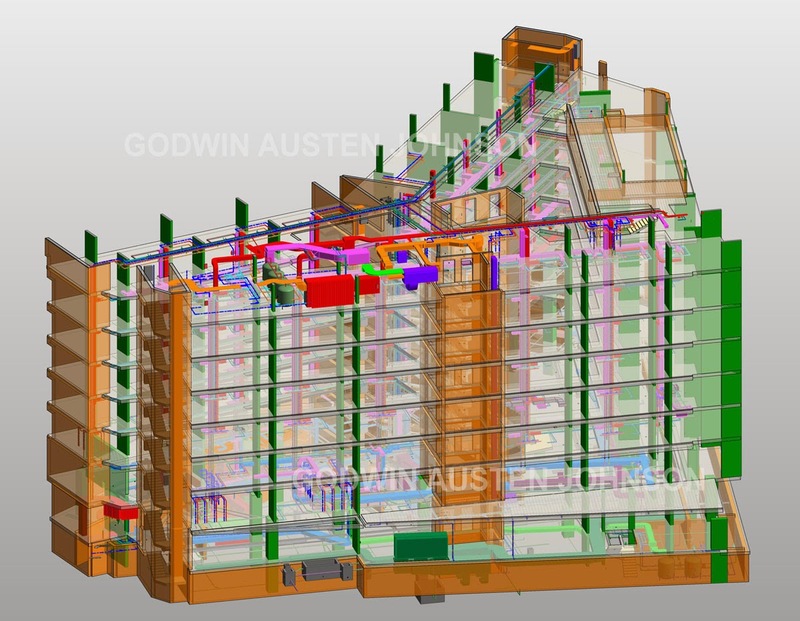 Design & build with a BIM savvy contractor. I built a parametric crane for them. Type in the height, adjust the radius, off you go. 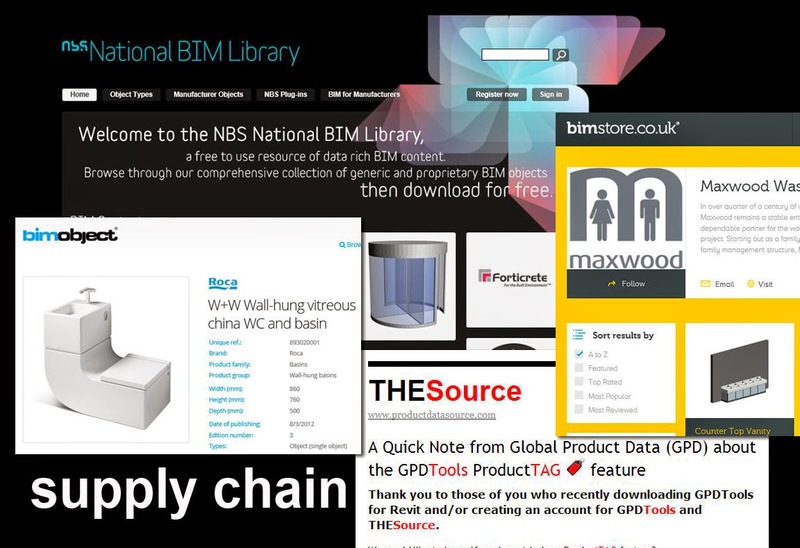 And suppliers are beginning to wake up to BIM at last. Some really good content services developing. But we need to go beyond lecturing suppliers with "BIM is the next big thing, you need to get on board" We also need to listen to them. They have their own digital tools. How do they envisage the future ? And it's not just about downloading objects from a web site. The real value has always been the personal interactions. Experienced designers and contractors interfacing with experienced specialists. 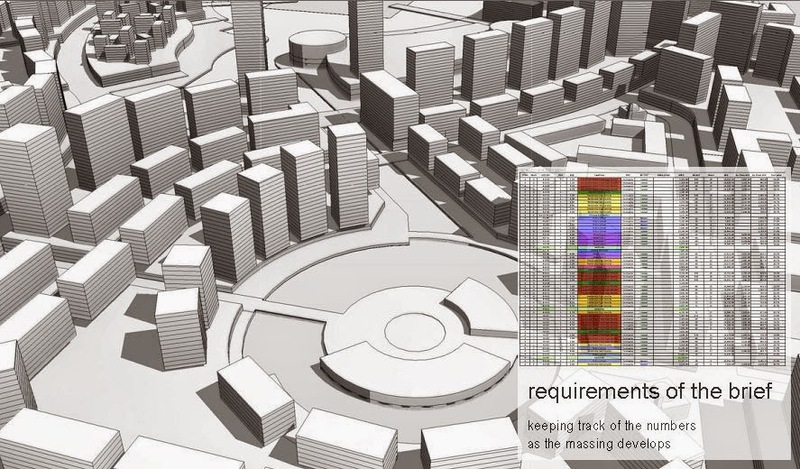 How can BIM supercharge that process ? content, suppliers, contractors, get everyone involved I think this is going to be huge over the next few years. But meanwhile my mind is racing on.beyond the day job. Extracurricular BIM. Pencils are very adaptable tools, you can write a shopping list and if you are Leonardo you can invent fantastic machines or explore the muscles of a dissected corpse. 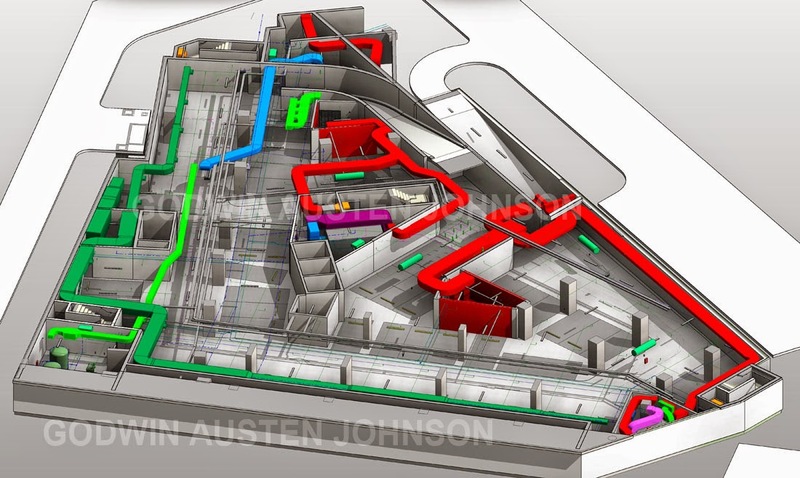 We shouldn't keep BIM locked inside the business box. or maybe you are into documenting technologies before they disappear from memory. 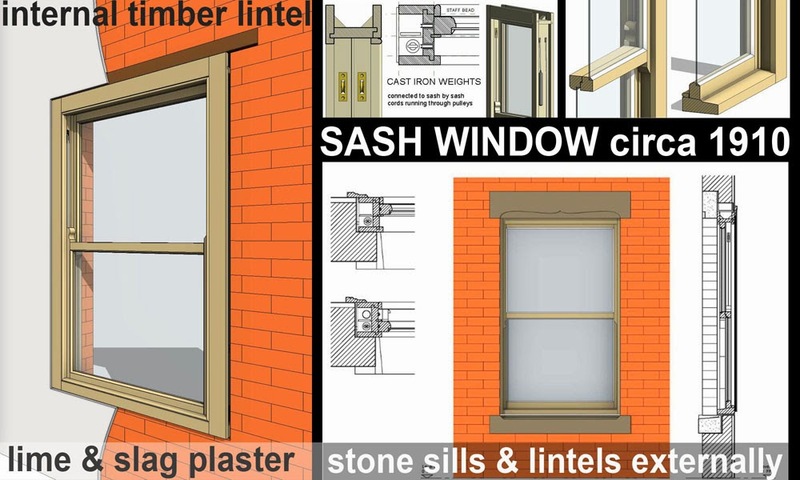 Sash window. And what about art ? Where exactly is the dividing line between everyday life and a work of art? 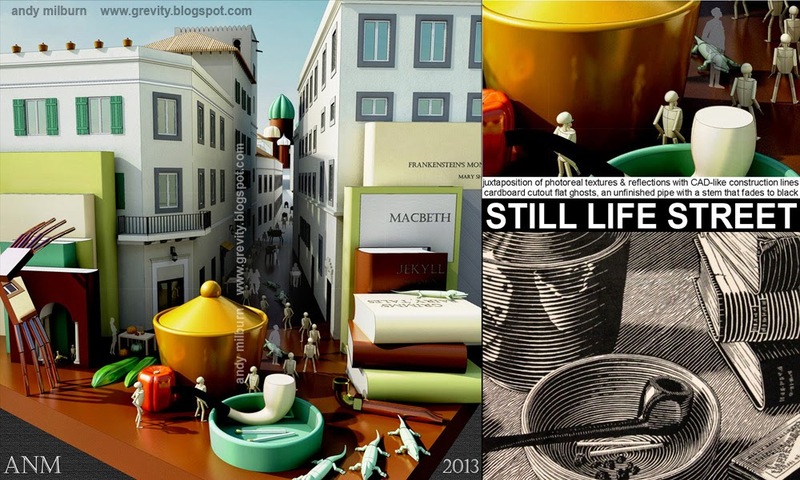 Can we do art with BIM? What would that be like ? In the early days people thought photography was too mechanical to become an art form. How wrong was that? So that's my current phase. BIM spreading into all spheres of life. And here in the Middle East, lift can sometimes feel like a "Rat Race". What does BIM have to say about that ? Most discussions of BIM are locked into an old school business paradigm. ROI. Geta competitive edge. bigger better faster. But that's such an old fashioned business model. We need to catch up with the cutting edge of business thinking. 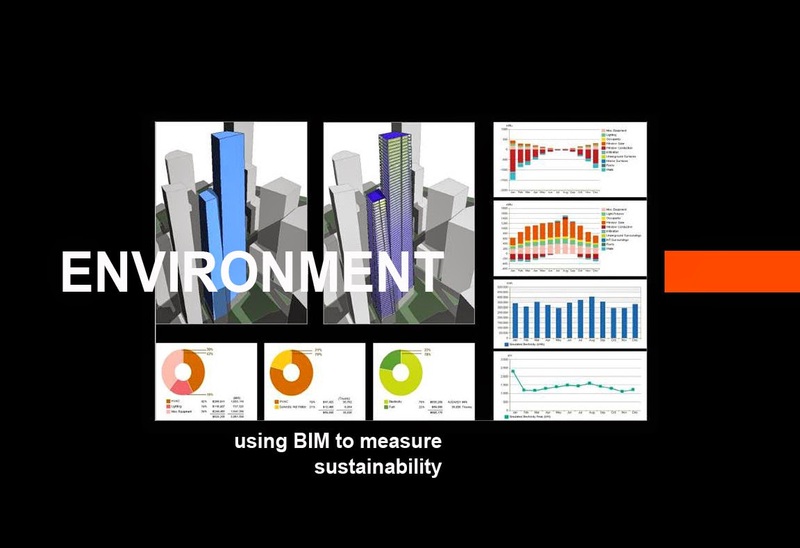 environment - energy modelling, recycled content. This is not new or controversial. 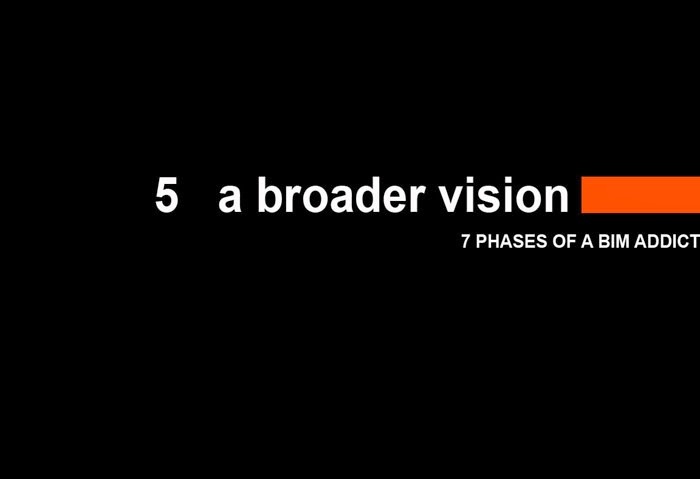 It's a steadily growing aspect of mainstream BIM, something we all need to embrace. Marketplace. 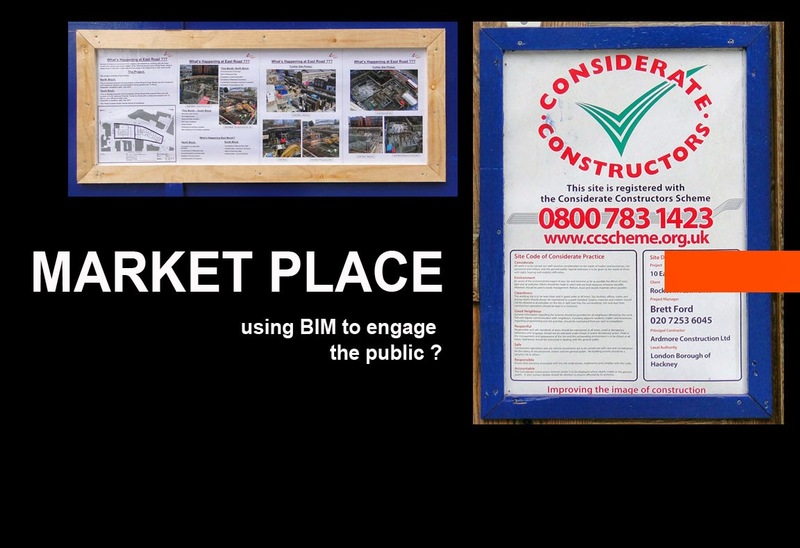 The images above are from a scheme in London called "considerate contractors". It's an issue we need to address. Rightly or wrongly the industry doesn't have a very good reputation for considering the needs of the general public. Can BIM help us to address that in a typically UAE manner, using cutting-edge technology to communicate with the public and to conscientise contractors about the need to operate responsibly ? Perhaps Dubai Municipality should require contractors to operate web sites which display virtual models of their projects, warn residents about activities such as all-night concrete pours, and allow them to register comments and complaints. Workplace. This is a matter of some concern in the UAE. The sad fact is that we have gained a reputation for treating our building workers rather carelessly. 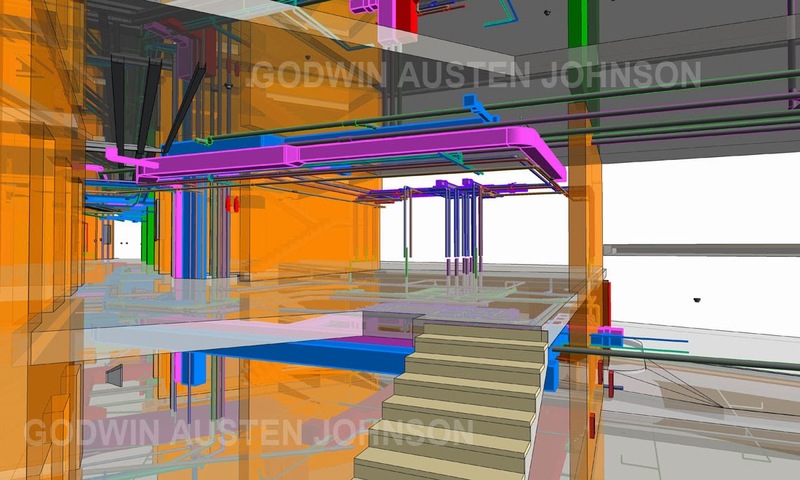 Recently at GAJ, we have been working with a BIM-aware contractor that intends to use BIM as a tool for site orientation & planning, fostering awareness that is critical to Site Safety. This is great & I hope we can continue to build on that. But what about housing conditions, labour camps. Can BIM make a contribution here ? These are open questions. The kind of questions I am starting to ask about BIM right now in the 7th phase of my addiction. 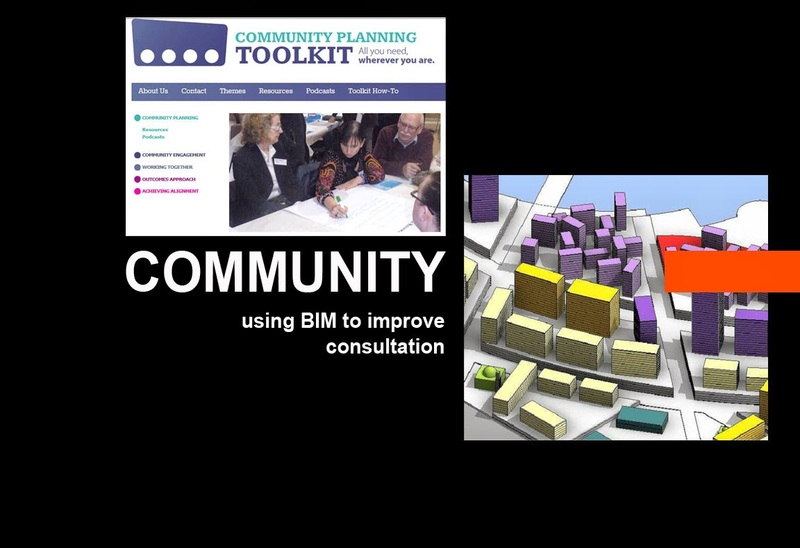 Community - There are many ways in which BIM could help our industry to contribute to te community. 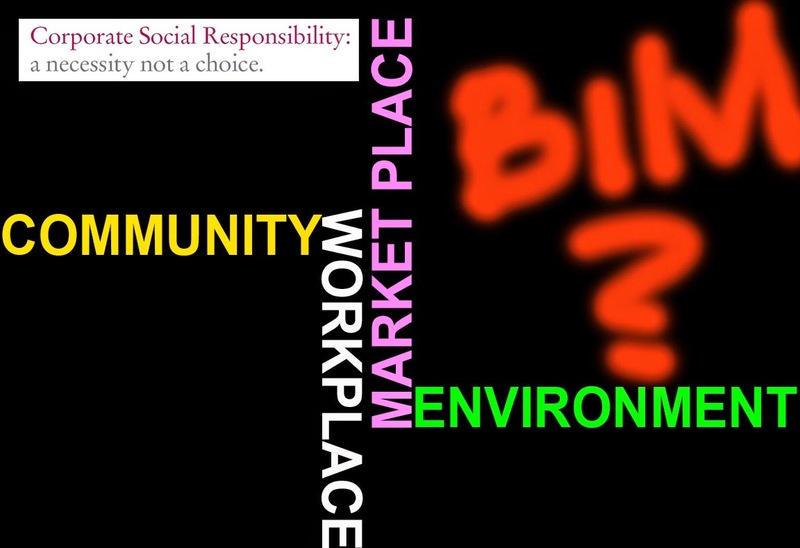 Lets take a brief look at one: community planning. This is a well-established idea in many parts of the world: the belief that ordinary people have a right to be involved in decisions about building projects in their neighbourhood. Here in the UAE we are used to a top-down approach, but it can't go on for ever. Can BIM help us find a UAE approach to consultation and community engagement ? Could we soon see virtual models on-line that allow residents in the UAE to envision development proposals before they are finalised and to share their reactions with clients and consultants. 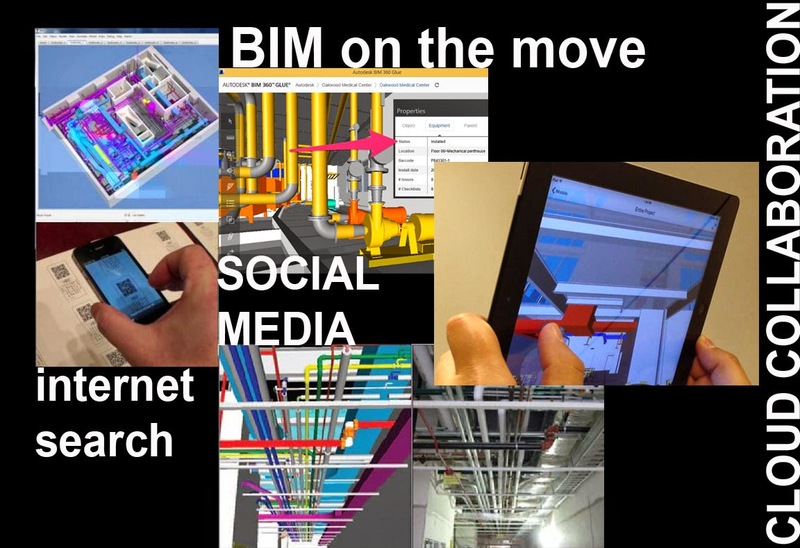 BIM is new, BIM is "happening", everyone can contribute, help to shape the future. Why not get on board ??? 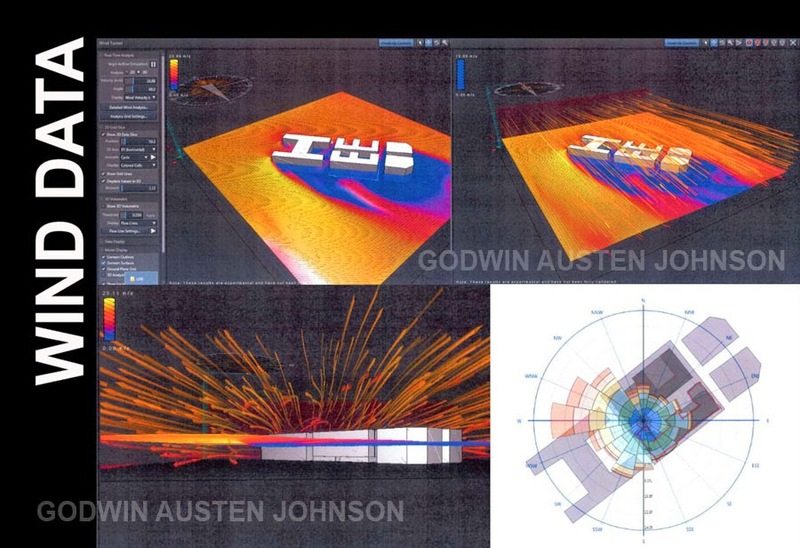 So that's a brief review of my own personal BIM journey, during the past 8 years with GAJ. Yours may be similar in some ways, different in others. But the challenge facing us now as an industry and as a nation (as a species) is can we come together, hold hands and take the BIM journey together.